Calling all LIGHTWORKERS! Light it up! A dream finally came true with the help of my friends who were amazingly helpful. So grateful for collaborations like these! 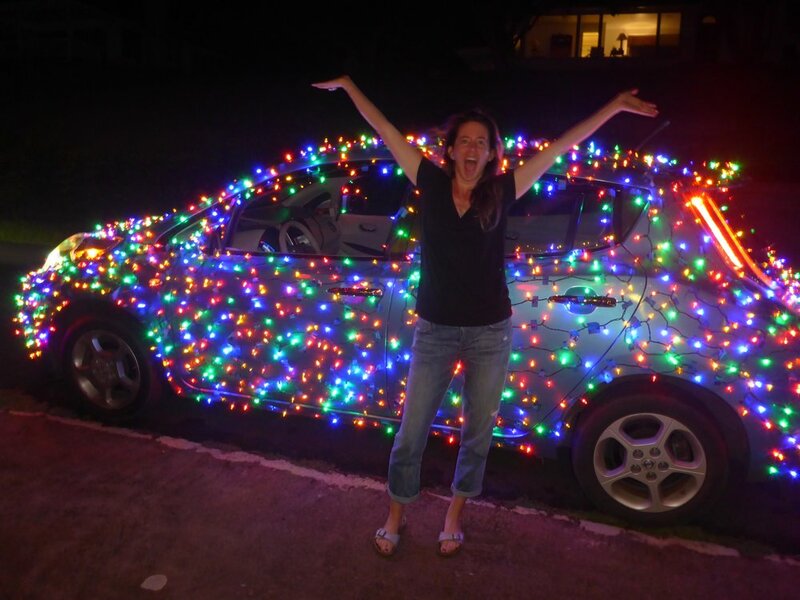 This is my electric car with about 2k LEDs all over it. I've wanted to do this for ages. What is also important about this photo is that it is the first time my toroidal field has been photographed. I also have never seen one photographed at night. You see the green (5th Ray) of Light and the blue (1st Ray) of Light here. Archangels Raphael, Mother Mary, Michael and Faith are present in this photo. There are other pieces of Light Geometry present here that I have never seen before. So many fun experiences here about how teamwork and community coming together in the name of collaboration can be really fun. You don't have to do it alone, unless you want to and how shining your LIGHT can bring a smile to us all. We all benefit when we shine our Light and all it takes is one. If you doubt that, come ride through town with me at night in this car! It's so fun. Life is SO GOOD. May you have great friends and support in your life that helps your dreams come true. May your light shine brightly!